There are many situations where you’ll want to extract insights about your audience. Maybe you’re about to launch a new product and want to find out if your audience will like it or perhaps you want to discover your customers’ buying habits. 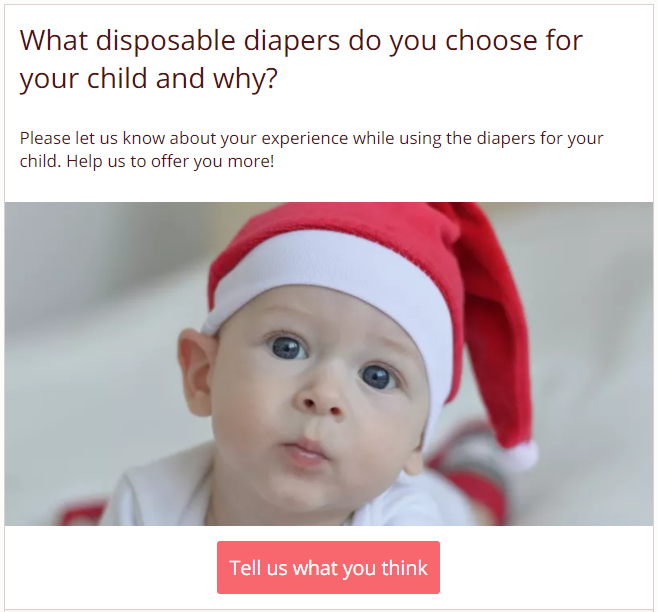 No matter the scenario, you can use Opinion Stage’s survey & quiz tools for extracting useful insights about your audience. Interactive surveys and quizzes created on Opinion Stage will have a higher conversion rates than standard surveys and allow you to gather more authentic insights about your website visitors and customers. Personality quizzes enable users to discover something new and interesting about themselves, while allowing you to uncover information about them and their preferences. In the example below, users are invited to find out what kind of foodie they are by answering a series of questions on their eating habits. The responses to these questions allow you to generate a profile of each specific user: from whether they prefer red or white wine to how often they dine out. You can then also aggregate statistics on all the users that completed the quiz. Personality Quizzes have two main built-in psychological mechanisms that lead to higher completion rates. The first mechanism builds upon the basic curiosity of users to discover something about themselves (e.g., “What type of investor are you?”, “How do you keep up with fashion trends?”, etc.). The second mechanism is the curiosity of users to discover things about other users, in particular, their friends or people they share interests with. One of the problems with standard surveys is that users often have a low motivation to participate. This is usually solved by offering an incentive for participation. However, these incentives often result in inauthentic replies because users just want to complete the survey quickly to get the incentive. Users who participate in a quiz, with the promise of discovering something about themselves are more likely to be authentic & truthful in their answers. Otherwise, the quiz outcome won’t have much meaning for them. Surveys created on Opinion Stage provide a more engaging way of gathering insights. Their interactive & visual design, combined with their mobile-friendly design allows them to outperform all standard (e.g., SurveyMonkey) type of surveys.